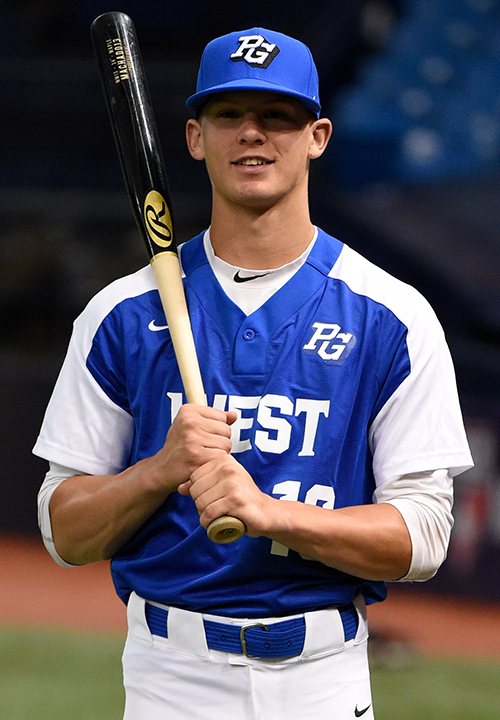 Bobby Witt Jr is a 2019 SS/RHP with a 6-1 185 lb. frame from Colleyville, TX who attends Colleyville Heritage HS. Tall and lean athletic build with lots of wiry strength and plenty of room for more. 6.40 runner, has outstanding defensive tools in the infield and has proven equally adept at all the infield positions. Very soft and quick hands, outstanding at tags, very smooth and clean through the ball, plus arm strength with the ability to throw from all angles. Right handed hitter, very loose hands in his swing, can get extended and put a charge into balls, fluid swing with very high exit velocities, will occasionally get too middle/oppo oriented in games and lose his leverage and raw bat speed. All the physical tools are there and loves to play. 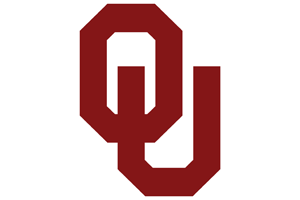 Very good student, verbal commitment to Oklahoma. Son of former MLB right hander Bobby Witt. Selected to play in the 2018 Perfect Game All-American Classic.